Planning a trip around the world? Let "First-Time Around the World" get you started. Loaded with the very latest travel information, including all you need to know about round-the-world tickets to teaching and working overseas, this pre-departure guide will help get you make the most out of your ultimate journey. 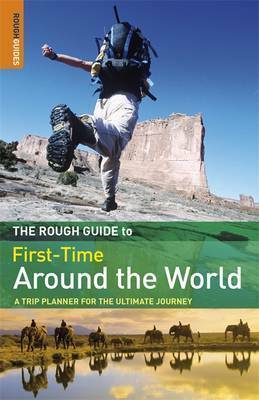 The guide begins with a full-colour 'Things Not to Miss' photo section with suggested itineraries, route maps, details on what to bring, when to go, how much it will cost and which vaccinations will keep you healthy. The individual country profiles highlight the best places to visit with country-specific websites and necessary budget information for your first time world trip. There are plenty of useful tips to help save you money, keep you safe and maximise your time on the road. The guide comes complete with concise regional information, with overland maps and details on weather, major attractions and unmissable festivals.